Believe it or not, something as simple as a dirty dryer lint trap can cause major problems with the performance of your dryer. 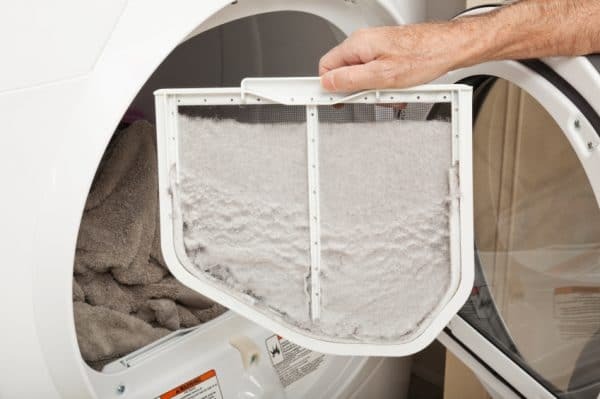 A dirty lint trap can restrict the airflow of your dryer, which may result in longer dry times and overall poor performance. What Restricts Airflow in a Dryer? Airflow in the dryer can be restricted in a few different ways. The first sign that you have restricted airflow will be poor dryer performance including longer dry times and no heat. You’ll obviously notice if your dryer isn’t heating (and therefore not drying your clothing), but if the restricted airflow is simply causing poor performance, you may not be as aware of the problem. If your dryer takes more than 1 cycle to dry, it’s a good idea to check for restricted airflow. If left without care for too long, your dryer’s functional parts will begin to wear down faster, causing an unnecessary breakdown. Or, worst case scenario, dryer vent lint build up may result in a dryer fire. The first place we always check is the dryer lint trap. In this video, Tiger Tom demonstrates how to clean the dryer lint trap. Why is My Electric Oven Overheating?